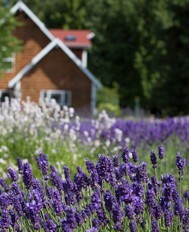 Learn about lavender history and its healing properties. With its history of healing properties, glorious colors and enchanting perfume, lavender has remained the Swiss Army Knife of herbs. It has stepped out of its attachment to old fashioned uses and has found a modern status in aromatherapy. 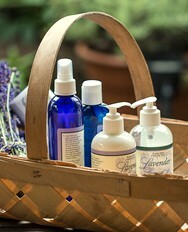 With scientific research verifying its ancient uses, lavender is an essential component of any household first aid box. The essential oil is used on insect bites, burns, and blemishes. Lavender’s aroma imprint is camphoric sweet and rich ~ with an herbaceous, floral heart and a soft balsamic-wood undertone. Its odor at evaporation is generally a low, middle note. Its effect is calming, refreshing, uplifting, expansive, soothing, purifying. Ideal for physical and emotional support, lavender as a whole is an ‘adaptagenic’ essence with a relationship to all Body Systems. It is nicknamed the ultimate ‘first aid in a bottle’ oil. Lavender produces an Anti-Allergic Essential oil, with an inherent antibiotic action. It is also an astringent as well as moisturizing to skin. It alleviates aches, pains, motion sickness, and swelling from arthritis to injury to headache. 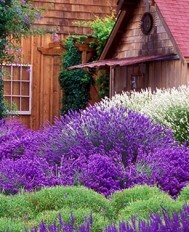 Lavender is considered the premier of all perfume. ‘Perfume’ derives its name from the Greek meaning ‘through smoke,’ and in ancient times the perfumes were used as fumigatory agents. Research is proving that lavender is beneficial with regard to support for hyperglycemia, hypertension, indigestion, arteriosclerosis, digestive complaints, kidney stones, fragile capillaries, anemia, and heartburn. It is non-toxic, non-irritant, non-sensitizing. Some say due to an emmenagogue action, lavender should be avoided in the first trimester of pregnancy. It should not to be used with preparations containing iron and/or iodine.